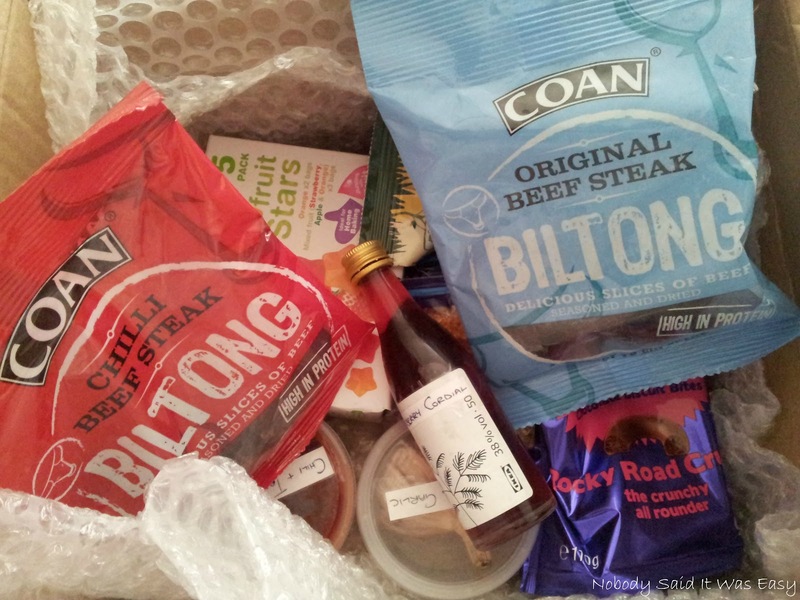 When our foodie penpals came through for September, I was incredibly excited to see that mine was the lovely Carol-Anne from Rock Salt, yes, the “leader of the pack” over this side of the water! My package arrived and it was wrapped up in some lovely paper, but I didn’t get a pic as I was too excited to open it, as I always am! My first response on opening the box was ‘ooooh’ (again, as always). She has taken all my likes into consideration and I was delighted with the contents. So in there, I came across two packets of Biltong, which is dried & seasoned beef – I’ve seen this in the supermarket and heard good things about it, I have been tempted to try it before but just wasn’t sure, so I thought this was obviously the perfect opportunity. I’ve only tried the chilli beef one so far as I do like my chilli flavours, and it is delicious, perfect for a quick snack. There were 4 packs of ‘nakd’ raisins each a different flavour – cola, cherry, lemon & lime – I’d never seen these before so I was intrigued, especially by the cola ones (as was Carol-Anne!) so they were the first ones I tried. They tasted just like chewy cola! I then tried the cherry ones a few days later, on opening the packet there was just a delicious cherry smell, and they tasted wonderful. Though I just had a thought, I must buy the cherry & cola ones again and try them together for a cherry cola taste! I haven’t tried the other two flavours yet. A couple of the other bits in there were some Greek sesame snacks, which tasted to me just like peanut butter! And some fruit stars, which I will either use for some toppings for some fun fairy cakes, or possibly snacks for the long drive for our holiday next week. I found it lovely that Carol-Anne had gone to the effort to make some home-made things too. I had blueberry gin cordial, for which the recipe can be found on her blog. I still haven’t got around to trying this but I think it might be another thing I take on our holiday next week! Some home smoked garlic – I haven’t tried this yet but will be sure to this week! 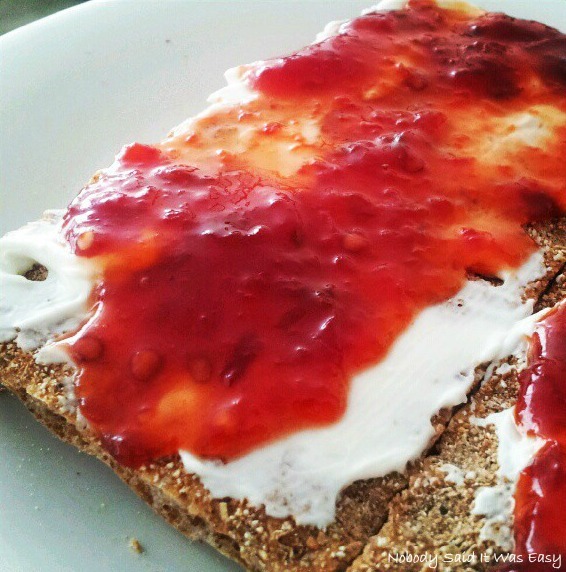 And, some chilli & tamarillo jam. I just HAD to try this as I love sweet chilli sauce so thought I would use it in a way I would usually use that (though I have to admit I took the lid off straight away and it smelled gorgeous, so I had to dip my finger in and have a taste – mmm!). On first taste it just tastes quite sweet, with a little bit of ‘tang’, and then after a few seconds, you get the kick of chilli with the sweetness afterwards. Much better than my usual brand of sweet chilli sauce! I can’t wait for the recipe so I can have a go myself! 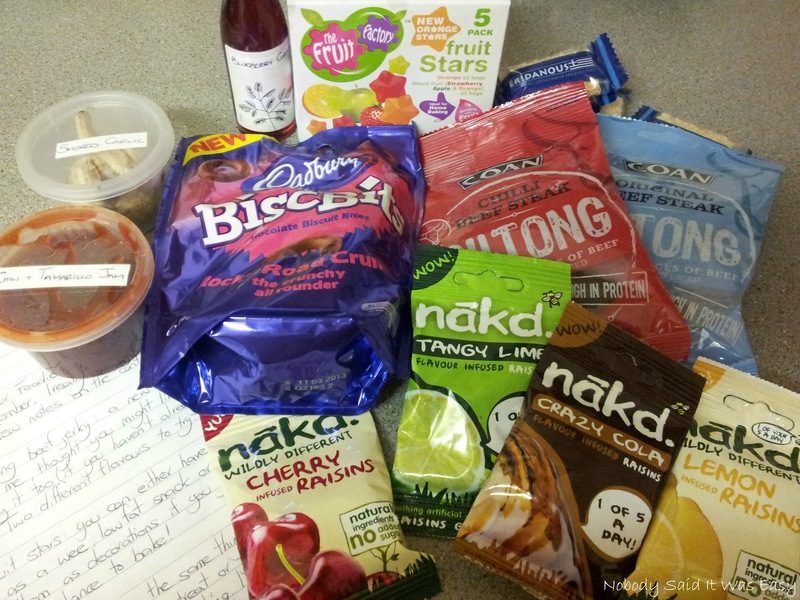 If you would like to join in with the Foodie Penpals fun, you can find all the details here. Awww I'm glad you liked it! And I like being 'leader of the pack'! So pleased you enjoyed everything. I must try those raisins myself now.